A Friday moment, a single photo, no words – capturing the week or day or experiences. A simple or extraordinary moment. Motivating . Reminds me that I need to take my workouts seriously . an ambitious moment, indeed! you go, gurrllll!!! Linda, I like leisurely moments, thanks. All the running is not helping me lose weight. I am not a runner, but I do love to workout & do it everyday. Andy, I can barely walk leave aside run, nowadays. Age is catching up. I just finished my daily walk – ok not always daily but as daily as possible. I shoot for 3 -4 miles. The write in me lives for this time. It works wonders on the creative mind. Melissa, I love it that you love what I do 🙂 Thank you friend. Corinne, I try to go on but some days I just can't. Thank you for visiting and commenting. Love the shoes…a hectic moment! Nelieta, It was a stressful moment 🙂 trust me, thanks. haha I just got to this moment and it's my last post I'm looking at before I head off to the gym! Thanks for the motivation! Eliptical here I come! Jessica, Does the gym help? I don't seem to be making much progress here. Walking is what ido.and not often enough. Great moment. I too go down two flights of stairs twice a day with Sparky 🙂 thanks and you were missed. 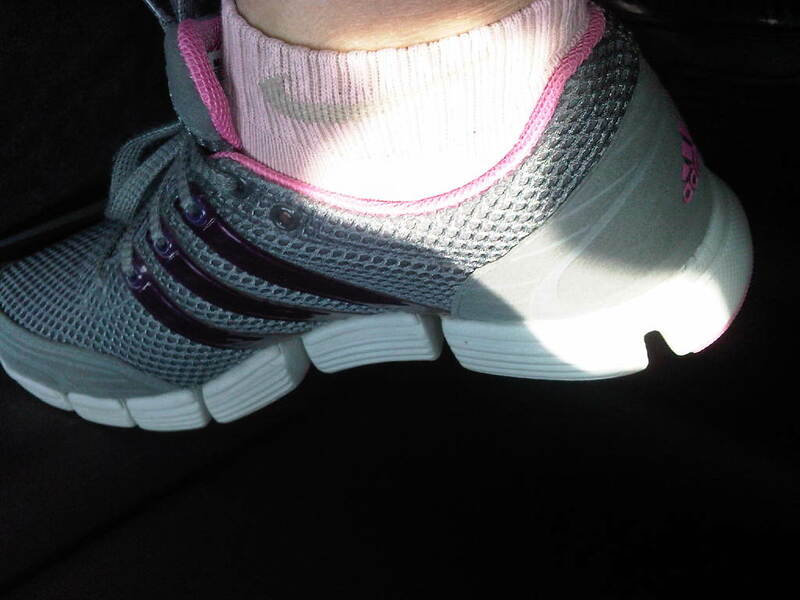 its motivating …loe the shoe….mah favrt Pink. Sonalee, Welcome to my site and thanks for your comment.